What is the ACT Disability Reference Group? In May 2017 the ACT Government appointed eight new members to its Disability Reference Group to provide high level advice on issues affecting Canberrans with a disability Ms Louise Bannister, Ms Mignonne Cullen, Ms Sharon Ding, Ms Alicia Flack-Kone, Mr Wayne Herbert, Mr Douglas Herd, Mr Justin Le Couteur and Ms Fiona May. The ACT Government Disability Reference Group has replaced the ACT Disability Expert Panel. The ACT Disability Reference Group helps the ACT Government to implement the National Disability Strategy 2010-2020. Mr Herd has previously held a senior position working with the National Disability Insurance Agency. He is passionate about promoting increased social and economic participation of people with disability within a rights-based framework. Ms Bannister has worked in the disability sector for almost 20 years, as a consumer representative on a wide range of Commonwealth and ACT committees. She has also worked for not-for-profit organisations including Belconnen Community Service, National Disability Services and Women With Disabilities ACT. As part of the Disability Reference Group Ms Cullen hopes to improve the policies that affect people with disability in relation to housing and employment. Ms Cullen has previously been on the board of a disabled peoples organisation and is committed to community engagement. Ms Ding has experience with promoting the inclusion of people with disability through her membership of several organisations including the Disability and Wellness Network, the Disability Education Reference Group, the Marymead Autism Advisory Group and the ACT Disability Working Group of the Parents and Citizens Council. She also brings lived experience as a person with disability and carer experience as a parent of a young child with disability. 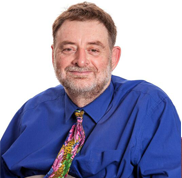 Mr Herbert has spent his career focusing on assisting people with disability into employment and training. He has previously worked within the Disability Employment Services Program, and the former Disability Employment Network. Mr Le Couteur has 40 years of knowledge accumulated in relation to the experience of people with disability. Mr Le Couteur believes a role on the Reference Group would enable him to motivate and show young people with disability that anything is possible. Ms Flack-Kone is the President of the ACT Down Syndrome Association (ACT DSA), She has a comprehensive understanding of the disability sector, and the daily challenges of working relating to inclusive education and community attitudes to people with disability. Ms Flack-Kone has also worked as an early childhood teacher. Mr Reodica is the ACT Manager for National Disability Services – the peak organisation representing the disability support sector. Mr Reodica comes with a background in government – in both disability services and education – and more than a decade of experience in senior leadership position in peak youth bodies in New South Wales and nationally. Mr Reodica was previously a senior manager in the NSW Government’s disability portfolio and worked to improve individualised funding approaches under NSW disability supports during the transition to the NDIS. Bernadette Mitcherson is the Acting Director-General of the ACT Government Community Services Directorate. She has previously worked in ACT Government Corrective Services, Justice and Community Safety Directorate as the Executive Director and has had a career spanning 20 years in NSW Government including a number of senior executive positions in Corrections NSW, the inaugural director of Women's Services and general manager of a number of NSW prisons as well as 10 years in NSW local government. Bernadette is a trained social worker and began her career as a crisis counsellor and community development worker. She attained a Bachelor of Social Work (Honours 1) at the University of New South Wales and a Master of Public Policy at the University of Sydney.